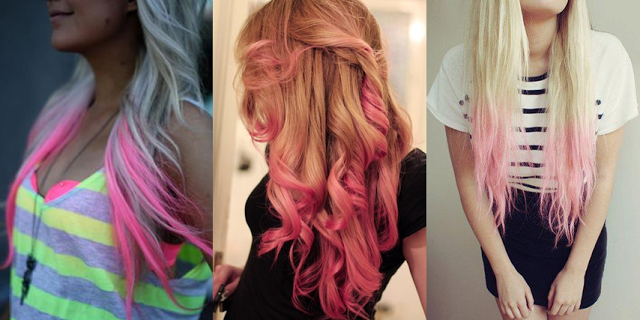 Pink Tips – Kate. Lives. Loves. Learns. I have a crazy South African hairdresser here in Amsterdam and she gets totally bored of my “Sandton blonde” every time I see here. The last time I visited her she said she was going to give me pink tips. I thought she was joking but before I knew it she was mixing the color. It looked so cool, the only bummer was it rinsed out after a week. Next time I will get her to make it last longer.